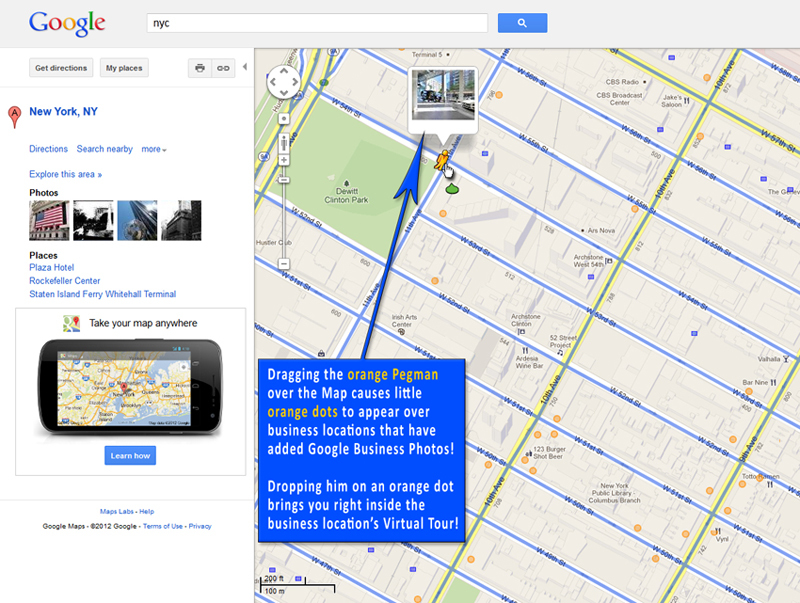 Webster Hall NYC - Google Street View | Trusted / What are the Benefits of Adding Google Business View for My Business? Where do you search when looking for something online? Chances are it’s on Google. Your prospective customers are no different, and chances are the first place they’ll come in contact with your business will be through Google Search or on Google Maps. When they find you there, you’ll be on a page that includes your local competitors — so it’s important to utilize every tool available so that you stand out in search results an make the strongest possible first impression. 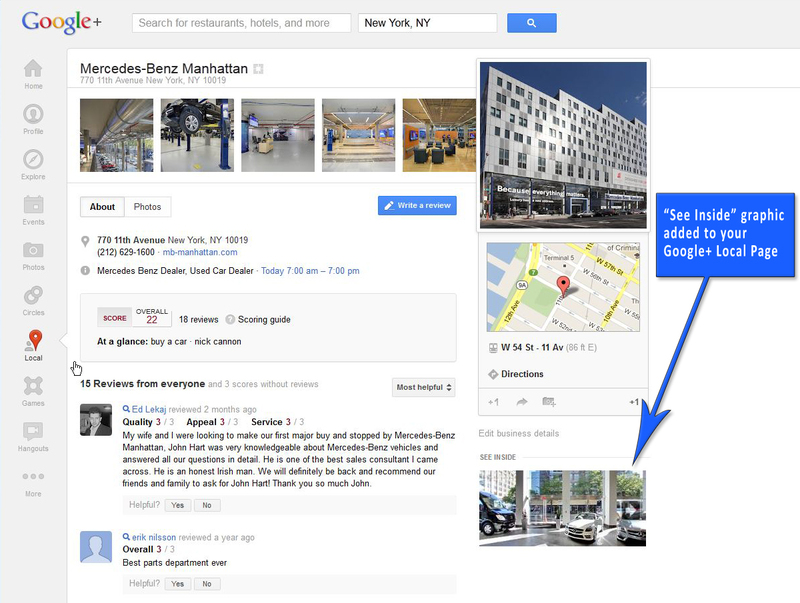 Google Business View is the first premium service available through Google and it gives Businesses a way to showcase one of their most unique aspects – their location. It is a powerful internet Marketing and Advertising tool that will completely change the way your business interacts with customers on Google products and across the web. 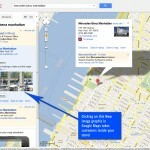 360 degree Interactive Virtual Tour that appears on your Google+ Local Page, Google Search, and on Google Maps. The Virtual Tour is fully Embeddable and you may place it on any page of your own website. 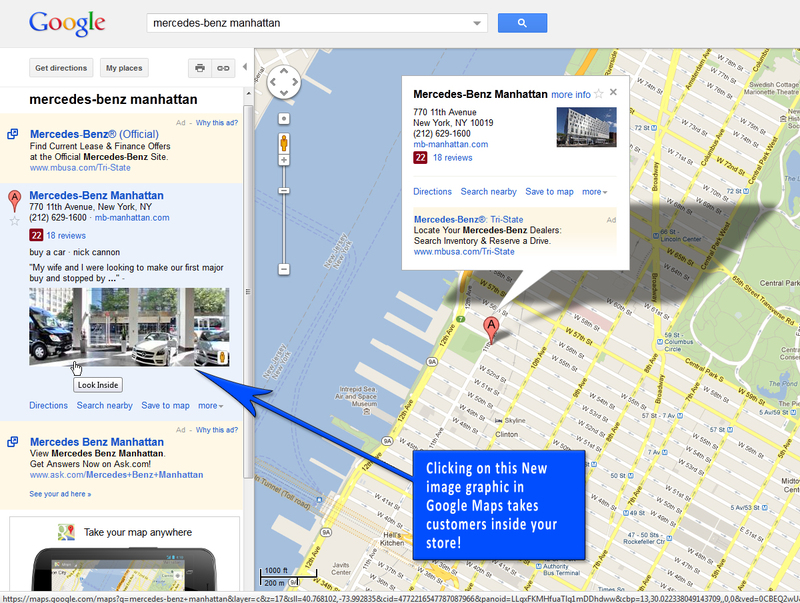 Your Google+ Local Page will be enhanced with new graphics that encourage customers to “see inside”. 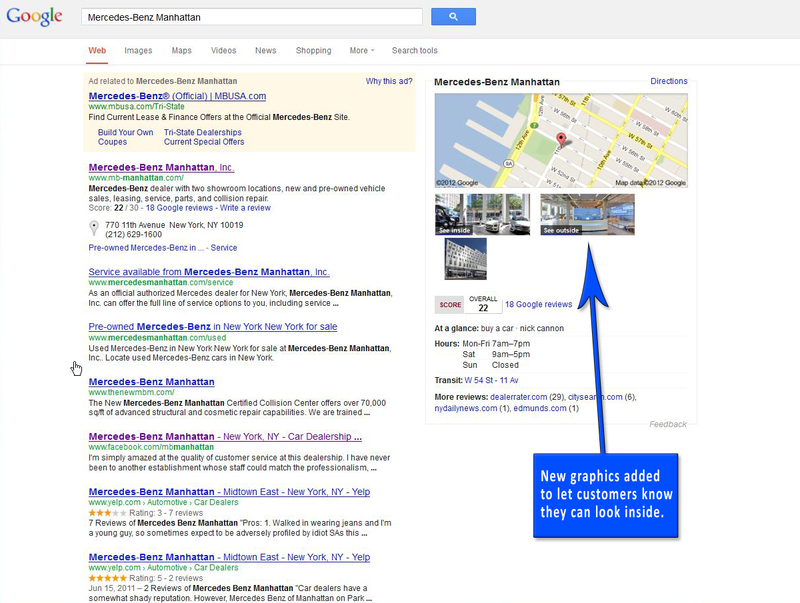 Differentiates your listing in Google Search and Google Maps and makes your business stand out among competitors. 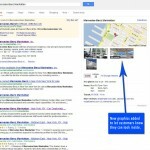 Increases the probability of click-through from Google Search results to your Google+ Local Page and Business Website. 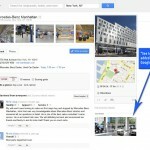 (Optional) Professional Point of Interest Photographs added to your Google+ Local Page. 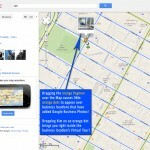 The images will also be visible in Google Search results and on Google Maps. Your Point of Interest Photos will be made available for you to download in full resolution and you own full rights to these images.